This apartment is in San Antonio. Nearby parks include Pickwell Park, J.F. Kennedy Park and Espada Park. 7803 S. NEW BRAUNFELS has a Walk Score of 30 out of 100. This location is a Car-Dependent neighborhood so most errands require a car. Experience upscale living at this Apartment Community. 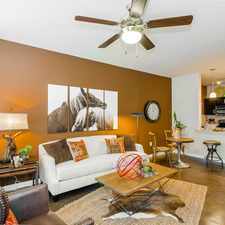 Their one and two bedroom South San Antonio, TX, apartments supply everything you need in a new home. Open and modern, their apartments are the perfect complement to your life. Call or Text me, YOLIE at 2lO-367-9836 for current specials, availability and a FREE Showing! Explore how far you can travel by car, bus, bike and foot from 7803 S. NEW BRAUNFELS. 7803 S. NEW BRAUNFELS has some transit which means a few nearby public transportation options. 7803 S. NEW BRAUNFELS is in the city of San Antonio, TX. San Antonio has an average Walk Score of 38 and has 1,327,407 residents.